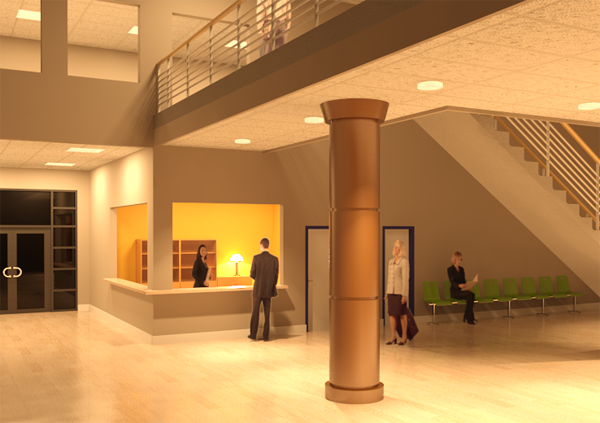 Lighting is an important factor that needs to be considered in the design of a building. I n the design stages you can place artificial lights on the exterior and interior of a building to assess and evaluate the building’s lighting needs, and then plan the impact of different levels of lighting. When adding artificial lighting to a model, you add lighting fixtures, organising them into light groups if you want. Then, before rendering, you can turn individual lighting fixtures/light groups on or off, to achieve the effect that you want. The rendered image then shows the lighting you have chosen in your design. Revit enables you to design a wide range of artificial lighting from single source lighting, to multiple source lighting, track lighting and even chandeliers. Firstly Click ‘New’ then select ‘Family.’ Select ‘Template File’ dialog then choose a light fixture template. All of the lighting fixture templates include the words ‘Lighting Fixture’. Make sure you select the right template for the type of lighting fixture that you want to create. Revit then opens the Family Editor. For ceiling and wall-based fixtures the template will include either a ceiling or wall to host the fixture. Define the geometry of the light source for the lighting fixture, and then sketch solid geometry for the lighting fixture. If you want the surface of the light bulb to show in a rendered image, create geometry for it, then apply a material to it and for its render appearance, select ‘Light Bulb – On’ from the Render Appearance Library. Click ‘Create’, then the ‘Properties’ panel, then Family Types. In the Family Types dialog, specify values for the parameters. Click OK.
Click ‘Load into Project’ to load the light fixture into the current project, or save the fixture and exit the Family Editor. For information on how to create other light sources such as multiple source, track lighting or chandeliers, click here. For more news, updates, hints and tips you can follow Cadassist on Twitter or on LinkedIn. You can also visit our website, contact our email sales@cadassist.co.uk or call on 0845 872 5555 to talk to a member of the team.